Naff, awful, rubbish….these are just a few of the adjectives some people use to describe the Eurovision Song Contest. Personally I prefer glitzy, glamorous and fun! OK, perhaps the songs are a bit tacky and it is somewhat camp, but I believe the positives far outweigh the negatives in this celebration of all things European. As well as being entertaining it also teaches us a great lesson in appreciating our neighbours and learning about other countries, which is why I will be letting my two little girls stay up to watch the songs on Saturday night. And we’ll no doubt look for each country on our globe and maybe we’ll even colour in some flags.And for them it will be doubly exciting as they will be rooting for both Spain and the UK. 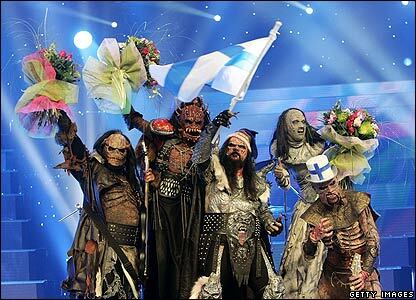 The thing with Eurovision is it mustn’t be taken too seriously. It is what it is, it’s a tongue-in-cheek celebration of European music and culture. It’s entertainment, pure and simple, with a huge array of different styles of music and fashion. It’s an evening where you find gala dresses alongside folk costumes, opera mixed with Euro pop. There are ridiculous stage stunts, trousers and skirts which come off with one tug, singers who suddenly sprout butterfly wings and for some reason this year a giant silver bird. Yes, it’s true, some of the songs are absolutely diabolical, but that’s all part of the fun. And isn’t it better that we come together to appreciate the diversity of our European neighbours and battle it out on the stage rather than killing our young men in wars as we have done throughout history? Eurovision is a celebration of 39 different nations each proud of where they’re from. As well as being educational, it’s an opportunity to wave the Union Flag without worrying if we’re going to be mistaken for being xenophobic or fascist. So my advice is to join the party in Oslo tomorrow night, sit back, have a drink, enjoy the songs, (or not) and laugh at the weird and wacky outfits. I certainly will be. And to those who are still not convinced, Eurovision is a television event which pulls in one of the highest audiences. Surely 122 million people can’t be wrong!